Volunteers power our efforts. Here’s what you need to know to become one. The next workday on the Greenway will be held on Saturday, September 2 from 10:00 am – 12:30 pm. 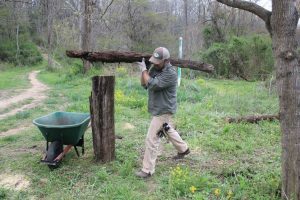 We’ll continue work on the area around the workshed in preparation for the West Asheville Garden Stroll (WAGS). The planting around the workshed was made possible by a WAGS grant. Please meet at the workshed at 10:00 am. Autumn workdays will be held on the second Saturday of October and November and dependent on the weather. Next work day: Sat. 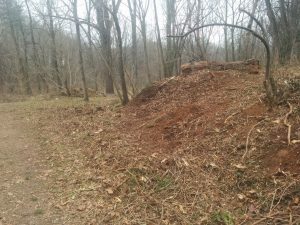 June 17 10:00 a.m. – 12:30 p.m.
Join us for our next workday on the Hominy Creek Greenway! Saturday, June 17 from 10:00 am – 12:30 pm. All are welcome to join us. Meet at the workshed near the Shelburne Road trailhead! 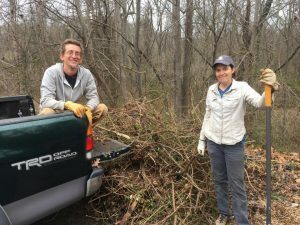 Join us for our next workday on the Hominy Creek Greenway! Saturday, May 13 from 10:00 am – 12:30. All are welcome to join us. Meet at the picnic area at Cornbread Junction near the Sand Hill Road trailhead! 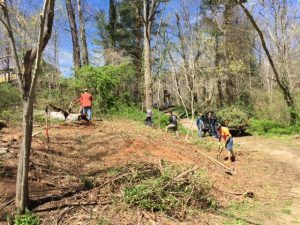 Join us for our next workday on the Hominy Creek Greenway! Saturday, March 11 from 1:00 – 3:30. All are welcome to join us. 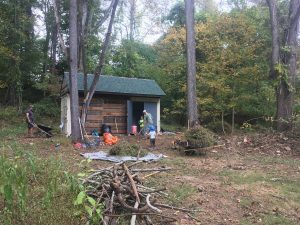 Meet at the work shed near the Shelburne Road trailhead!